Home » Australian Author » Blog Tours » Guest Posts » Junior Fiction » Poetry » Verse » Blog Tour: Roses are Blue: Poetry is Perfect! Blog Tour: Roses are Blue: Poetry is Perfect! 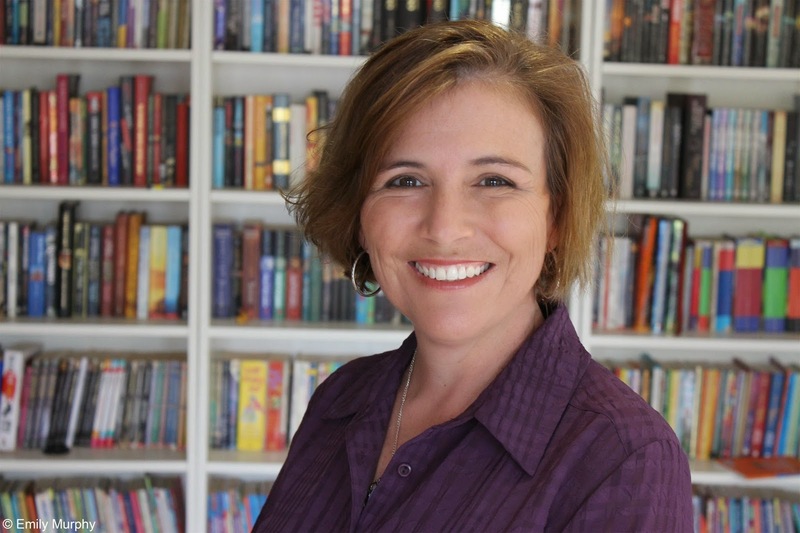 Kids' Book Review is delighted to welcome author Sally Murphy. As part of the blog tour for her latest junior fiction verse novel Roses are Blue, Sally has offered to explain just why she thinks poetry is perfect! Check below for links to the other stops on the Roses are Blue blog tour. Roses are Blue is a verse novel, which means that it is a narrative told through the form of poetry. This is my third published verse novel, so obviously it’s a form I love. I’ve also had lots of individual poems published (mostly in the NSW School Magazine) and a collection of performance poetry for schools. So, you won’t be surprised when I say that I love poetry. But it’s not just as a writer that I love poetry. Poetry was one of my first loves as a child, when my mother shared the Dr Seuss books with me, AA. Milne’s collections, RL Stevenson’s A Child’s Garden of Verses and more. At school I always loved poetry lessons and learning to recite poems by CJ Dennis and others, as well as the poems in school magazines which came regularly. Then, as a teacher and a parent, I loved sharing poetry with my own children and the children I taught. Now, I’m not just writing poetry but also doing a PhD project entitled Belonging: Writing Children’s Poetry. So why do I think poetry is so important? It’s fun! Poetry plays with words, and encourages kids to do the same. Poetry gives readers and pre-readers access to words they may not otherwise come across, and because the words can be predicted, and repeated and memorized, helps to build retained vocabulary. Poetry also gives access to experiences readers might not otherwise have. In Roses are Blue, for example, Amber has to cope with her mother’s terrible disability. Young readers can experience this vicariously through connecting with Amber. Poetry is easily digestible, often coming in nice short chunks. A poem can be just a few lines long, and a verse novel is usually shorter than a prose novel for the same age group or on a similar topic. Verse novels – and poetry more generally – can be nice and accessible to reluctant readers because of the white space, the line lengthsand the support of illustrations. At the same time, they can appeal to advanced readers, and readers of all abilities, because of their layers of meaning. Poetry crosses cultures, and generations. I have so many adults tell me that Roses are Blue, and my earlier verse novels, Pearl Verses the World and Toppling (KBR review), touches them deeply. I hear lots of stories of families sharing my books around. Poetry is a bonding experience. As well as the just mentioned sharing, poetry is great for reading aloud – in class, in a group, or at home. And for parents who like to read aloud to their children (which every parent should do, please!) a verse novel is nice and short, so the whole novel can be read nice and quickly, before the story becomes stale. I could go on, but by now hopefully you’ve get my message: poetry is perfect! 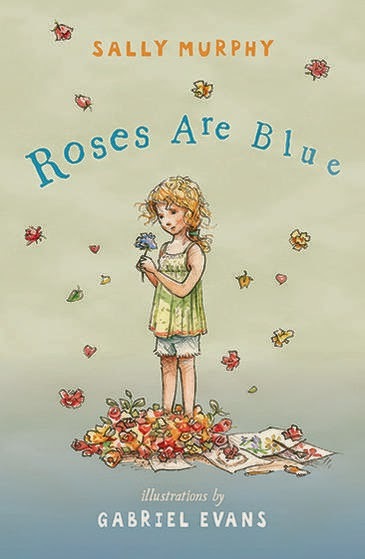 My latest work of poetry, Roses are Blue is out now from Walker Books, illustrated by the amazing Gabriel Evans. If you’ve never read a verse novel before (or even if you have), I’m hoping it will inspire a love of poetry in you that will lead you, and the children in your life, to explore other verse novels and more poetry. Find out more about Sally, her books and poetry by visiting Sally's website and Facebook page, and following the Roses are Blue blog tour.